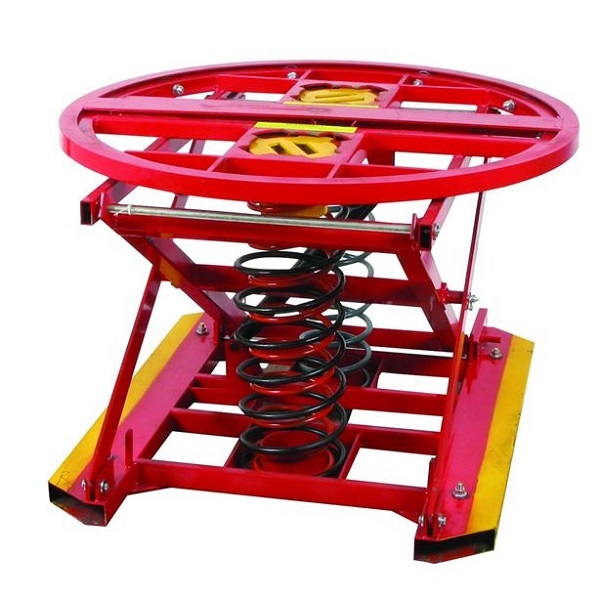 The Wesco Pallet Leveler is a great piece of equipment to compliment your warehouse. It will automatically lower as the pallet is loaded and raise as the skid is unloaded. Positions your cargo in the right place to avoid bending over in awkward positions. 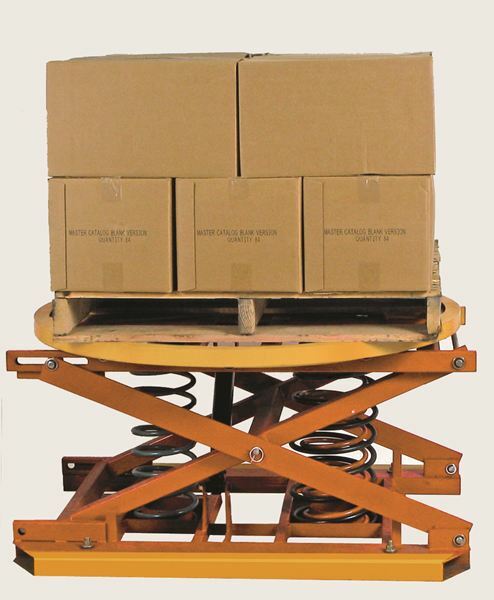 Also has a rotating ring which will allow you to easily rotate your pallet for easy unloading. Make sure to watch the video below! 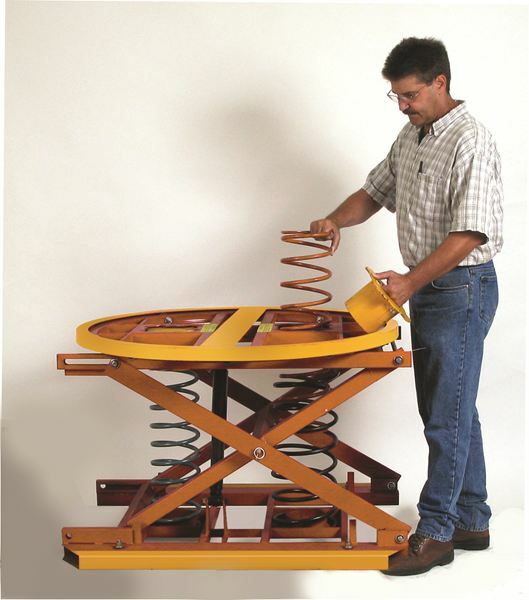 3 Heavy duty calibrated springs used in combination according to desired load range. Bearing supported carousel for easy turning. Built in fork pockets for ease of transport. Helps reduce fatigue and injury from bending and lifting.